Today we reached Pensacola, Florida. The sky was grey in the morning. The day started with soft rain before the sun scorched my head. We saw beautiful white and endless long beaches. We visited Gulf Islands next to Pensacola. Whereever I had been in the Gulf area there existed oil, tar or slippery slicks at the coast. 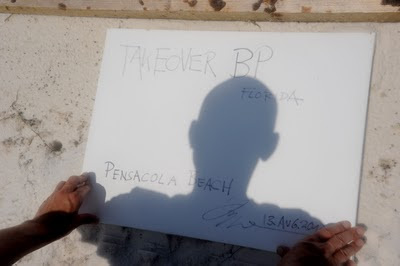 The employees from BP and all other workers have and had a real hard job to fight back against the spill. 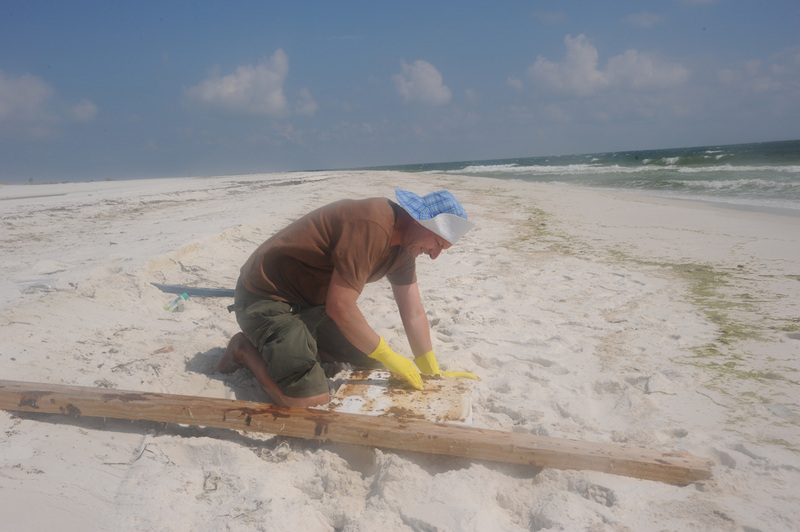 Every night the Sandsharks and other cleaning mashines drive at beaches round the Gulf area. 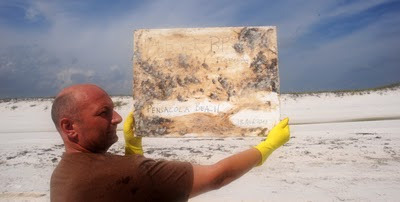 I made a new crude oil painting in Florida at the Wildlife Refuge next to Pensacola. Mixed media - oil, water, sand and the concept. It is time to takeover BP. 3 Buy new stock, to takeover BP with the oil spill. more pictures of the BP Takeover Tour you will find at Burkhard Saur Facebook.